You have seen Deathly Hallows Part Two. Ten years ago the first Potter movie hit the cinemas. Now years later we have reached the end. This thread looks back on those ten years and eight movies. Last edited by Hes; July 6th, 2011 at 9:37 am. Definitely DH Part 2. It rounds off the story very nicely and manages to put in everything that was significant in the book. Snape and Dumbledore's conversation in the Prince's Tale where Snape reveals his motives for protecting Harry all these years, and his horror that Harry was expected to die. I'm tossing between Alfonso Cuarón and David Yates, but I think I'll go with David Yates. DH Part 2 was just too amazing. That would depend on which director, but I think it's nice to have some variety in the series. Alan Rickman - need I say more? Very - the music sets the mood and atmosphere of the film. DH Part 2 - listening to it right now (: The score's amazingly emotional. Aaargh there's so many to choose from! 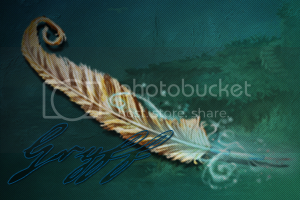 Hedwig's Theme is an obvious one, but I also love Snape to Malfoy Manor <3 And Obliviate. Severus and Lily is amazing as well. Both parts of DH had great cinematography - big fan of Eduardo Serra's work. HBP was great as well; I think it was nominated at the Oscars for it. The Great Hall during the Yule Ball was beautiful. Love the dragons in all the movies - GoF first task dragon & the last movie's Gringotts dragon. I love Fleur's wedding dress in DH Part 1. Last edited by Limplict; July 15th, 2011 at 7:28 am. I chose OotP. I don't know why, but I will always have a soft spot for it. I think I will need to rewatch DH2, but i think that HBP, DH1 and DH2 are all tied for 2nd place, not far behind OotP at all. I really like the little things that tie everything together, so for that reason, I'll chose the Prince's Tale as it really does tie the whole series together. Defiantly David Yates. I find all of his films miles ahead of the others. Probably, but like Yates said in an interview, no one would be able to survive all 8, especially since they were working with children who aged quickly. I think in the series as a whole, the coming of age of the trio is the most fleshed out, followed by the Harry vs Voldemort confrontation. Snape's plot is pretty good in the films too, but it just isn't given the same about of focus as the other plots. This is a tough one. Almost all the characters were portrayed very well. I don't quite understand this question, but all of the actors and actresses in the film did a splendid job . I find that music defines a scene. It draws you in and feeds you the emotions. I dislike films with limited music, and also films with limited variety in music. Nicolas Hooper. I loved his fresh and excited work in OotP and HBP. Alexandre Desplat would most likely be second, but I was disappointed with his DH2 soundtrack, although Lily's Theme is beautiful. HBP. It conveys the wide range of emotions that the film does really well, IMO. Dumbledore's Farewell from HBP. It ripped me to pieces in HBP and it tore me apart when it reappeared in DH2. I don't take too much attention to this, but HBP had some of the most beautiful shots in it. I love the time-turner, but all of the sets and props in the film are amazingly made. Stuart Craig, Stephanie McMillian and the entire art department did a magical job (excuse the pun) bringing the sets and props to life! This is hard to say. Definately not PS (the quidditch match is so fake) but all of the other films have done quite an amazing and for the most part realistic looking job at portraying things that can not happen in the real world . Again this is hard to say. I do prefer the PoA onwards uniforms compared to the PS/CoS uniforms, but all of the films have amazing costume design. I think I will have to watch DH2 again, but at the moment I think yes for the main part. Although the series doesn't actually feel like a series until OotP, this is like the books too, with the previous entries being single stories with minor plots continuing throughout. I am very proud of these films. Although I can say they are not perfect (nothing ever is), it has brought me great entertainment and made be smile, laugh and cry. They've also made me find some amazing friends on this forum. This is probably the soppiest post I've ever written - I'm almost crying just writing this - but that you WB, thank you Jo, and thank you CoS forums . I go for Prisoner of Azkaban, it's a breathe of fresh air after the Columbus age, and it threw the basics for Yates to do what he did now. The little chat between Harry and Lupin on the bridge in PoA, there was that kind of tragic emotion I found in the books translated to screen. No, I think it was regenerating for the series to have different point of views, but I'd replace Newell with someone else still today. I'd say the Draco story arc was fleshed out the best, the Trio to me looks the same from the first film. Michael Gambon's Dumbledore! He has that whimsical air of wonder and humour that I find absolutely delicious. Michael Gambon and David Thewlis, I had no idea who they were prior to HP. Very, music creates and helps set up the mood. Nicholas Hooper no doubt, he created a powerful score for HBP, sadly under used. Well, Deathly Hallows Part 2, I'd be very surprised if this daesn't win an Oscar. Deathly Hallows 1 and 2. Yes, even though Chamber of Secrets and Half-Blood Prince remain painful to watch to me, and curiously they're both connected in some way...the writer was inserting the HBP story in CoS you know, but HBP didn't need to be a rom-com, they had it wrong there. POA will still always be my favourite. Cauron's eccentric camera shots, Dan's huge jump in acting ability and Snape's "Page 394" line are too good for me to say otherwise. This is hard. I still to this day become an emotional wreck when Amos cries over his son's body. I think that moment is the most heartbreaking moment in the entire series, more so than dumbledore dying. Aberforths patronus or the prince's tale are now strong contenders for favourite scene tho. I think Colombus captured the wizarding world from the books perfectly, tho Cauron added a wonerful sense of quirkyness. Yes. I'm a continuity nut, and the Potter films have been a mess continuity wise. I feel the films should have been made as a series, not as stand alone films, which they were until about HBP. The trio coming of age has always been the centre of the films, due to the three actors literally growing up on screen. Many of the other subplots mentioned above took a back seat in the middle few movies. Casting has been the series strongest point. No one gives a bad performance. Alan Rickman has always been great, but having seen DH2, I found Snape much more sympathetic in the film than I did in the book due to his performance. And I dont think ive ever heard a single word delivered with such gravitas, weight and danger as "NOW." Not sure what this means, but I will say I was surprisingly impressed with Matt Lewis in DH2. His speech was genuinly moving. I'm a muso and and a film music buff. To me, the music is one of the most important aspects of the films. No one can beat John Williams, tho Doyle and Desplat certainly didnt disappoint. Not a big fan of Hooper, but I suspect if Weasley's Wizard Wheezes and In Noctem had made it in to HBP, my opinion would be different. I have a soft spot for COS actually, tho recently I havent been able to get Lily's theme out of my head. In Noctem. Shame its full version was cut. DH2 hands down. I honestly didnt think they had that ability in them after Grawp. The continuity issue always bug me, and often the series didnt explain plot devices (the marauders map, priori incantatem, the taboo, the mirror shard). I do, however, appreciate David Yates' attempts to reconcile the films' differences (explicitly refering to Warwick Davis' character as Flitwick, combining the penseive designs, reintroducing the marauders map). Emotionally, i think the series has excelled. To literally watch Harry, Ron and Hermione grow up on screen gave the character's journey a sense of realism, as of course, Dan Rupert and Emma were going on their own journey. I enjoy the notion that casual viewers will now go back with renewed zeal and watch the earlier films with Snape's and Dumbledore's revelations in mind. I do, however, appreciate David Yates' attempts to reconcile the films' differences (explicitly refering to Warwick Davis' character as Flitwick, combining the penseive designs, reintroducing the marauders map). I haven't seen Deathly Hallows Pt. 2, so I'll edit once I have. Prisoner of Azkaban hands down. All the artistic aspects were top-notch, beautifully directed and casted, and the entire thing just makes me grin like an idiot. Yikes. I'd say either the Shrieking Shack or the part where the OotP comes into the department of mysteries. WAIT or the whole climax of Goblet of Fire. Columbus did well on the first two and did a good job drawing non-readers in, Cuaron obviously was spectacular in a completely different way. I think each director except Newell did a different job and that made the movies more interesting. I`d say the coming of age story. The different directors really accented that aspect of the story. Matt Lewis really came into his own in the last 4 movies. Somewhat, although moreso in the early movies than the later ones. Williams. He defined the movies musically and wasn`t afraid to try something new. Tie between Azkaban and Phoenix (the department of mysteries is beautiful but I didn`t like the veil room). Goblet and Prince are misses, but other than that, I`m very happy with the series of movies. Cool story. A total newbie to Harry Potter is watching and reviewing all the movies this week. Would you have preferred one director for all eight movies? Yes As to who I would want to have seen direct the series in its entirety, it comes down to a choice between Alfonso Cuaron and David Yates, with the nod going to Yates because of the masterful and genius way he adapted the final three books in the series. Which story arc has been fleshed out the best during the movies? The Prince's Tale Severus Snape is by far my favorite character from the books and films, and, although it didn't seem like it at times, the films were able to perfectly capture his story and the various nuances of his character (thanks in part to the masterful performance of Alan Rickman). Which character has had the best portrayal (script wise and acting wise)? Severus Snape Alan Rickman was perfectly cast, and played Snape perfectly from beginning to end, offering up subtle hints as to the true nature of the character (something he knew from very early on, having been given 'inside information' by JKR herself). Are you happy with the Harry Potter movies as a completed series? Emphatically yes Despite liking some of the films moreso than others, I can honestly say that the producers, writers, directors, cast, and crew of the films have succeeded with flying colors in translating and adapting JKR's magnificently written and imaginative novels. Prisoner of Azkaban. For me it just captures the spirit and emotion of the books the best, and I love Alfonso Cuaron as a director. I really can't. There are several. I guess the climactic sequences of every movie. (The time turner scene, the grave yard, the cave etc.) Right now though, I'm feeling like it might be the forest scene with Harry and his loved ones, but that's probably just because i'm fresh out of the cinema. Nah. I think any director, no matter how good, would get creatively exhausted doing the same project for 10 years. Probably just the story of all the kids growing up: The trio, Neville, Draco etc. Due to the constraints of cinema, pretty much all of the actual plots and story arcs were given short shrift to varying degrees. Tom Felton, specifically in HBP. He came out of nowhere to give a great performance. I feel like you can't really single out any film here. Can't single out a film. Yes. There will always be things to complain or nitpick about, but I think they did a dang fine job. Starting writing my HP film retrospective. Will see DH2 this weekend hopefully, it work doesn't interfere....it always does. But after having a HP film marathon last weekend, I noticed something. The lack of flow...well not the complete lack of it, you'll notice how you can put all 7 HP books into one book binding and the entire series just flows beautifully, almost perfectly. I find the movies lose flow after CoS. But gotta rewatch all as one before I put my final thoughts on them. Defenitely DH 1+2. DH is in my opinion the best book and the film(s) manage to tell the story of it in a fantastic way...and they add some differences that I like. The prince's tale.....what a brilliant summary of the Harry Potter story. I am not sure about that. Every one did a nice job, in his own way. Maybe. But it is good as it is. Snape and Voldemort. Allan Rickman and Ralph Fiennes are just brilliant. No one would have done the job better! How well does the actor/actress manage to make his character "real" and how much does he differ from this character. I think most of the people of the cast seem to be like their characters. Alan Rickman is quite a deep unsearchable man like Snape is. If you talk to him you don't know what he is thinking. Ralph Fiennes also is quite scary in times though I doubt he is a nice man. Emma Watson is very intelligent, she studies...Rupert Grint is afraid of spiders and has this typical Weasly-mantality......and so on. But Daniel Radcliffe differs a lot from Harry. And though he makes the best of what the script gives to him. And this is what an actor has to do. Don't know :/ I like them all. Hogwarts will allways be there to welcome you home!" "Voldemort is my past, present and future." Which movie out of all eight of them is your favourite? Why? Probably DH1. I hate all of the movies. I can't enjoy them becuase every time I see the director changing or even completely skipping a part of the plot, I get annoyed a lot. However, DH1 had that one scene that wasn't in the films but fit perfectly. It is slightly out of character for Harry but I can't help but enjoy it. If you could name one moment which you consider your favourite for all movies which one is it? In Noctem. Or the prince's tale just because it is my favourite book chapter. Which director did the best job of portraying the Wizarding World? David Yates probably. Would you have preferred one director for all eight movies? Depends on who would it be. I don't know if I'd want one of the 4 to do all the films though. Probably the romance between Hermione and Ron. I don't see any particular flaws there. How important has music been to you while watching the movies? Very. Who is your favourite music composer? Nicholas Hooper. Which soundtrack is your favourite? Half-blood prince. What is your favourite music track? Snape & the Unbreakable Vow or Draco's mission. Which movie has the best cinematography? Tough one. 3rd or 6th. Best set design (props etc)? I like diagon alley in every movie, and how it progresses into a darker place. Hogwarts is usually very nice too. And the burrow is sweet. Best special effects? Obviously DH2. Best costumes? I liked a lot of them. My favourites would be most of the death-eaters, the snatcher leader and Serious in the 5th film. At the moment I'd say Deathly Hallows part 2, just because I'm so hyped up on it right now and I think it was done beautifully. Very close behind is Prizoner of Azkaban, that one has always been a very big favorite of mine and for some reason I can never put my mind on it as to why it is. It wasn't my favorite book but I love the way it was done. Oh god there are so many. The Patronus scene in POA, The Prince's Tale, the story of the three brothers. Columbus did brilliantly with the first two films in my opinion, for me he really brought the world to life, and then I loved how Curan then gave the next one a different feel it was a breath of fresh air the change in them. I loved Yates, I admit I think he could work on the pace of his movies a bit more but otherwise I think he was my favorite director. Would you have preferred one director for all eight movies? I'm not too sure, I think change is good but at the same time some directors have very different styles and sometimes it doesn't quite work. For me I was disappointed with GOF, I dislikes the directors style and wished they had kept with Alsono Curan. No doubt about it, Alan Rickman and Snape. It was perfect, the way he delivered his lines. Snape, especially in the last film. Also Neville too, seeing how much he has grown and changed. How important has music been to you while watching the movies? I think it's very important, the music needs to give the right feel to the scene. Who is your favourite music composer? I'll have to say John Williams because I loved his scores, but I am in love with the soundtracks for the Deathly Hallows movies. Which soundtrack is your favourite? Prisoner of Azkaban. What is your favourite music track? So many it is hard to choose. I loved the ones at the end of the first two movies which were a montage of all the different songs into one big one for the credits. I pretty much really enjoy the opening track to each score. Best set design (props etc)? Diagon Alley, this one is hard to decide upon really there have been so many good sets. Best special effects? DH2. I was rewatching the first few movies the other day and you can really see how special effects have developed over the ten years. I am content with them. I think others are better than some of the movies, I'm very pleased with the first three movies and the last three, they really introduced it and ended it very well for me and I still enjoy watching those ones. I do enjoy OOTP, however I feel that the beginning could have been done and paced a lot better which is why I'm not too fond of that one nowdays, but I can live with it. For me it is unfortunately GOF that has not given the series as a whole the most potential for me, I didn't enjoy how that film was done, and that is what unsettles the middle of the series for me. Otherwise I am extremely pleased, especially how it was all concluded. There will always be things we as fans didn't like, but we are so loyal to the books I don't think they could have ever made the films to our standards, but I've really enjoyed the past ten years and these 8 films. Which movie out of all eight of them is your favourite? Why? Probably DH2, because this movie brought me to tears, which is a first for a movie. It's very emotional, but also action-packed. I LOVED all of the battle scenes and was very pleased with how the Trio, especially Harry, got to show off their skills and abilities, something that I thought was lacking from the actual book. If you could name one moment which you consider your favourite for all movies which one is it? My favorite? I'm not sure if I could pick which one... although I did enjoy Hermione and Ron's first kiss. I was fist-pumping in my chair at the theater when I saw that. Which director did the best job of portraying the Wizarding World? I wish I could take Colombus, Cuaron, and Yates, and smush all of their portrayals together. I loved how wonderfully magical and exciting Colombus made the WW seem (Diagon Alley, anyone? ), and I am also a fan of how fun and quirky Cuaron made the WW (the Leaky Cauldron, and the Night Bus), but I also liked how Yates connected the WW to the Muggle world (the Bridge scene in HPB), which made everything seem more real. Would you have preferred one director for all eight movies? I don't think so. Like the books get darker and more mature as the series progresses, the movies do the same. I don't think, for example, Colombus could have mastered the Battle of Hogwarts scenes, or could Yates bring the innocence and wonder and fun to the first two films like Colombus did. I think the Malfoy family as a whole was a good storyline. Of course there's Draco, who went from being a menace to a legitimate threat, to a bad guy who wants to turn good again. Also Lucius. In the beginning of CoS, he's a slimy, insulting, rich, powerful man who manages to give Ginny Riddle's diary and get Dumbledore to resign. But by DH1, Lucius is a weakened man, who's been to Azkaban and back, and who lost his reigns on the WW and his family, who is losing everything, and is desperate to keep anything he can. It's really well played. Which character has had the best portrayal (script wise and acting wise)? Yikes, I would have to say Maggie Smith as Professor McGonagall. She's tough and firm, but not mean, and she has that wry sense of humor found in the books. Good casting, WB. Which actor or actress in their role has been a revelation to you? huh-what? Weird question is weird. How important has music been to you while watching the movies? Apart from SS/PS, it hasn't been all that important to me. Who is your favourite music composer? Williams. Everybody recognizes Hedwig's Theme, it's so iconic. What is your favourite music track? Again, Hedwig's Theme. Which movie has the best cinematography? I know it's just one scene, but I really liked in GoF where the camera panned up over the maze, showing exactly how grand and dangerous it really was. Best set design (props etc)? PoA. The Leaky Cauldron and the Knight Bus are both amazing pieces of art. Best special effects? DH, both 1 and 2. Loved the fight scenes in DH2, and I was also blown away by the Three Brothers in DH1. That shadow-art was amazing and completely unexpected. Best costumes? I liked Emma Watson's not-Hogwarts-uniforms. Perhaps it's not really a "costume" costume, but I still like them. Absolutely. Harry Potter has defined the past ten years of my life. Even though there are some things that, as fans, we will never be happy with, the series overall has been excellent. It brought the characters and the Wizarding World itself to life. It's hard to believe that it's all gone. Deathly Hallows - Part Two because I feel as if it was the best adaptation of the novel. It also captured the emotions of the book and I felt it was powerful in moments. The acting was superb and it was truely spectacular to watch. Snapes's Death Scene - that moment was powerful and beautifully acted. I'd probably have to say David Yates. Coming of Age story was done well because of the continunity of the trio actors and they grew and changed with each movie. Yes, most definitely. GOF and OOTP were weak points but as a whole the series is fantastic. Honestly cant do it. Maybe whenever the trio is together! Best movie was POA. But potraying the magical world had to be Yates. At first I always thought yes but the more I think about it I change my mind. Reasons are. Director could get tired and worn out and rush the film and more importantly the tone of the books change from light to dark around book 4. The bringing in of Yates really felt like a good transisition. Based on film 1/2 could u see how the rest of the series had gone based on that route. Good films but hmmm. Emma Watson HANDS DOWN. Richard Harris close second. 3rd. So different but very catchy. Yes very. After watching SS in theatres thats when I grabbed the books and read them. Never would I have read them without the first movie so I owe it all to them. The movies and books may have ended but Harry Will live on forever. Tie here between Snape's death and Amos' reaction to his son's death. Both were profoundly moving. Cuaròn, but both Yates and Columbus did their respective films justice given the different climates of each film. I am not displeased with Newell, but the magic wasn't there for me. Each film has a different feel to it. Unless a director exists who would have been able to adapt (there isn't one), then no. The Marauders... Oh wait. Probably the connection between Harry and Voldemort. DH2 was very graceful in that respect. No character has been portrayed poorly, but I stand in awe of Alan Rickman. A revelation? Hmm... Matthew Lewis. Crucial to the success of the film. Williams for creating the sound of my childhood, and Desplat for having the appreciation to incorporate elements of all the scores into the final film. DH2, which includes PS and HBP elements. Hedwig's Theme, with Lily's Theme a distant 2nd. Wow... Um... PS for creating the world and POA for expanding it. PS for creating the world. Words cannot express what this series, both in book and film form, has meant to my life so far, as well as what it will mean to me in the future. I am very happy with the films as a completed series. While continuity as a series and faithfulness to the books remain two of the biggest problems, the scale of the artwork that has been created transcends these faults. Mischief Managed! dh2. it captured the essence of the battle in an awesome way, though I still desperately miss the idea of them fighting in the great hall. snape's scenes were nothing short of fantastic. rickman deserves and oscar. the prince's tale and snape's death. yes, yates. altho POA was awesome, too. snape as dumbledore's inside man. besides hedwig's theme, not very. I would have to see DH:2 again before I can accurately judge that one but after seeing it once its probably second to PoA. That movie just captures the magical world. The Penseive scene in DH:2 where Snape's whole character is revealed is great. But for some reason the beginning to PoA is just awesome. The dinner with Marge and the Knight Bus just have great music and dialogue I don't really know how to describe it. Also love Buckbeak's Flight with Harry. I liked the variety. It would be interesting to see how Yates or Cuaron would've done with the whole series. I absolutely love the Snape arc. But the Coming of Age arc was done really well too. Grint has gotten a lot better, and Lewis has been fantastic OotP and on. Immensely important. I'm a music buff. John Williams, without a doubt. PoA. Also like PS, DH:2, and GoF. I've always really liked Mischief Managed in PoA because its such an awesome montage of music, but the song that played in the epilogue scene, Leaving Hogwarts from PS, now just takes up a whole new level of meaning.